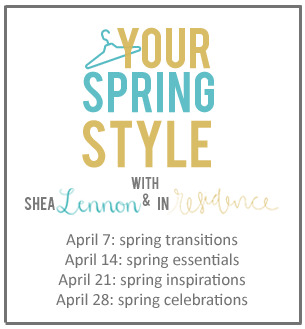 I'm joining up a fun link up this month with Shea of Shea Lennon and Anne from In Residence that is all about Spring Style! Today we're talking about Spring Transitions - pieces in our closet that can carry over from the winter season a bit. 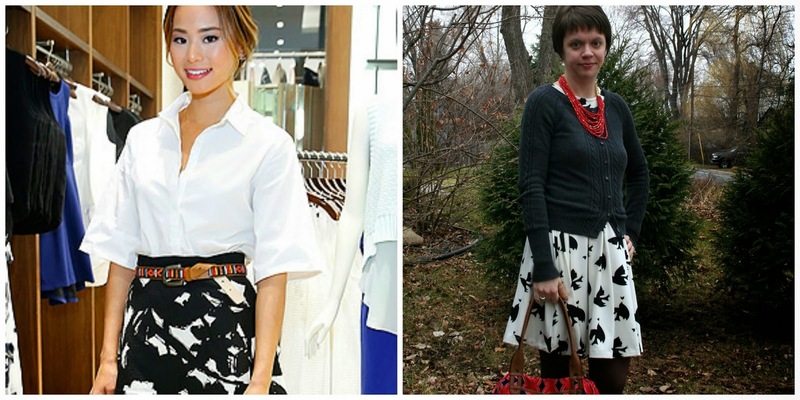 I chose a look based on yesterday's Inspiration Monday look from two birds with Jamie Chung and styled it around this fun dress I got from one of my MN blogger friends. It's a super fun bird print and is a great spring and summer dress. 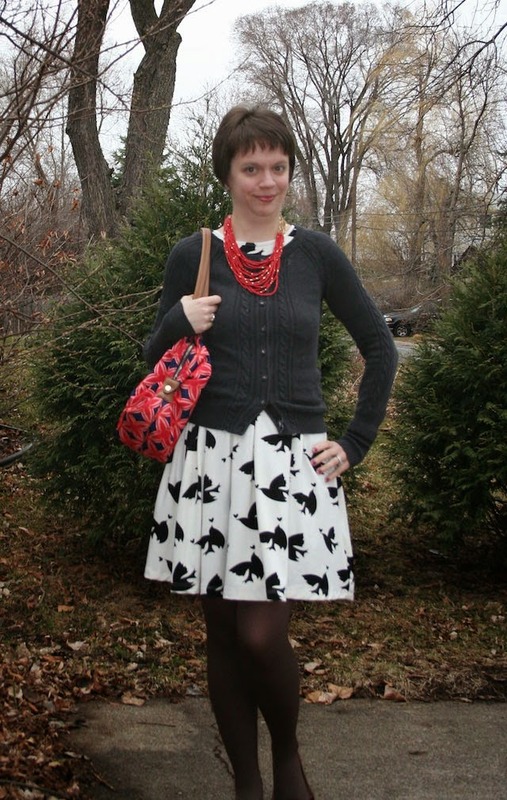 I carried over one of my favorite gray cardigans and some fun red accents - necklace, bag and shoes - all items that I would use in any season really. I unfortunately had to add tights too because it was rather chilly here in MN yesterday (still is). I think cardigans are great transition pieces, they really transcend seasons well because you can layer up as much or as little as you want underneath them! After I came in the house I realized I hadn't gotten a good shot with the shoes, so I took one more picture inside and my little ham decided to pose with me. Other than his Kermit shoes he's really dressed more for winter, I do like the sweatshirt he has on though, it's lighter weight than some sweatshirts, so I guess I could say that is his spring transition piece! What are your go to seasonal transition items?